M&T Bank was founded in 1856 and is ranked in the Fortune 500. M&T has helped people and businesses manage their money and make sound financial decisions, for more than 160 years. M&T is located in communities throughout New York, New Jersey, Connecticut, Pennsylvania, Maryland, Delaware, Virginia, West Virginia and Washington, DC. Founded and owned by the Jacobs family for nearly 100 years, it is a global leader in hospitality and food service with operations in the sports, travel hospitality, restaurants and catering, parks, resorts, gaming and specialty retail industries. Delaware North has annual revenue exceeding $3 billion with 60,000 employee associates. Independent Health is a regional, non-profit company recognized as one of the highest-ranked health insurance plans in the nation, currently serving ~400,000 members. HealthNow New York Inc. is one of the leading healthcare companies in Western New York. The HWMRI houses scientists from multiple disciplines who research disease to develop treatments and seek cures. SoarTech builds intelligent systems for defense, government, and commercial applications that emulate human decision making in order to enhance user abilities – saving time, money, and lives. ICHP’s mission focuses on the health and well-being of individuals as well as larger communities through the development and implementation of research and programming.  The Institute also seeks to strengthen the influence of SUNY Buffalo State as a driver of health promotion, delivering community-based universal prevention and educational programs targeting health risks, social services, schools, and businesses. ITEC is one of several special purpose organizations within the State University of New York system established by participating institutions to support multi-campus, computer-related, group activities targeted at improving the quality, quantity, and cost-effectiveness of campus-based and University-wide computer services.